To mark the first anniversary of the legislation that criminalised coercive control, Women's Aid is reminding the UK that an abuser doesn't have to raise their fists to commit a crime. 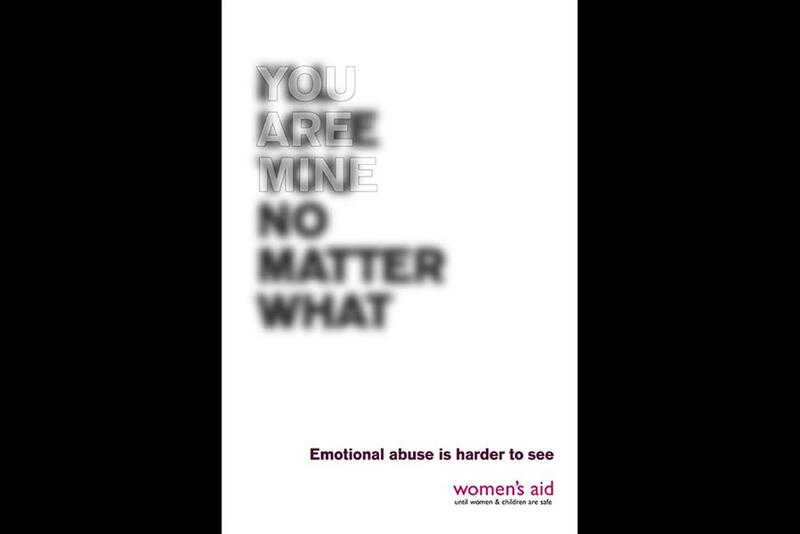 The outdoor campaign delivers the message that domestic violence is not always physical. Controlling what your partner wears, sees, eats or spends are all behaviours that can form part of a pattern that builds up to coercive control and strips away victims' self confidence. The work is backed by 8 Outdoor, which has donated media space on digital outdoor screens in London, Birmingham, Leeds and Edinburgh.